Headphone cable upgrades were also making inroads as evidenced and demonstrated by both imber and Gingko Audio/Danacable. 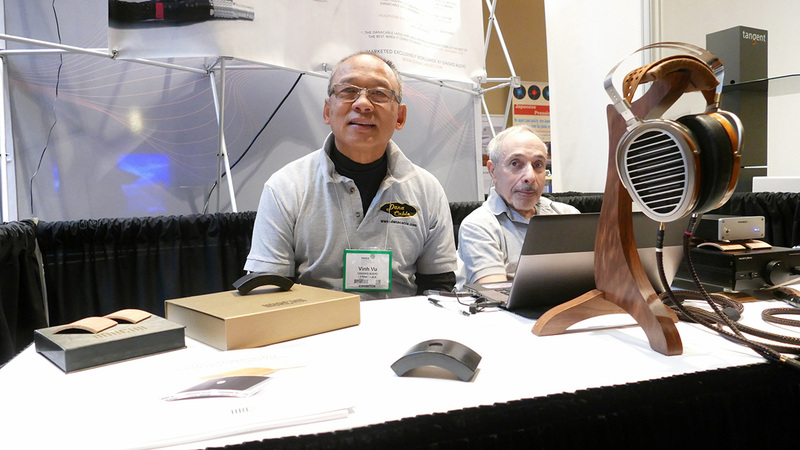 At the Gingko table, Vinh Vu and Norm Ginsburg were also showing their new Arch 'acoustic resonance clarifiers', ingenious little footers running from about $10 to $399 depending on application. In the Acapella Audio/Accustic room the $31'000/pr La Campanella MkII speakers were proof positive that extreme high-end can flourish abundant in the constructed rooms. 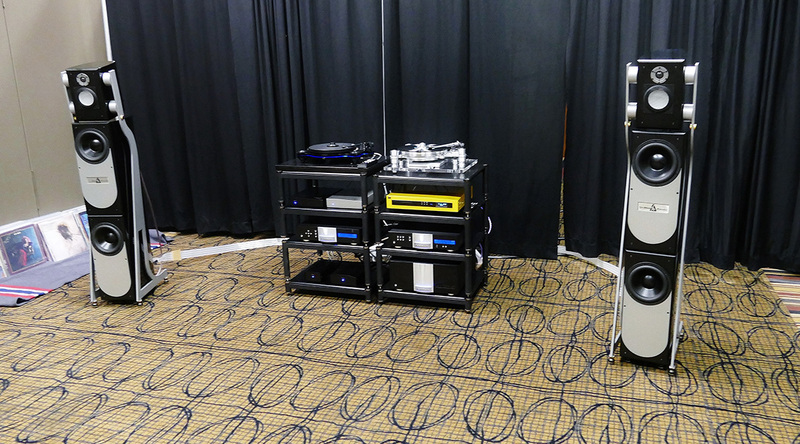 The Unison Research/Accustic Arts/Brinkman Audio based combo was not the most expensive rig these exhibitors have ever assembled but it was one of the most incredibly well matched to this given environment. It voiced expressive dynamics, good balance and convincing soundstaging. 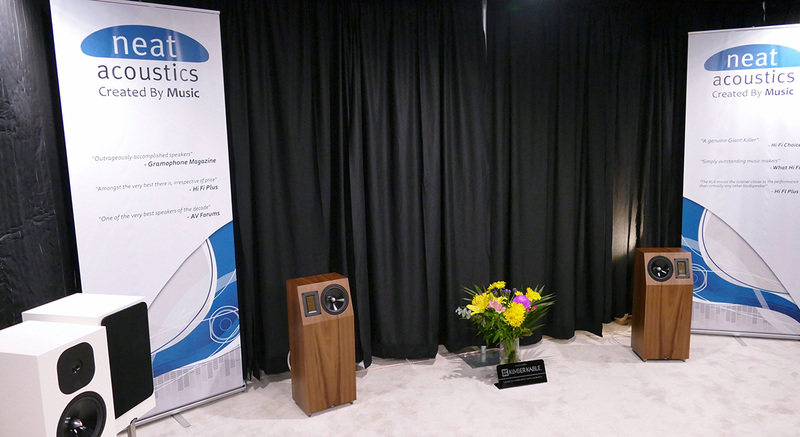 Altronics were doing nicely in several locations but did a standout demonstration of the big PMC MB2 se speakers at $40'800 in the larger Bailey Suite matched with Hegel/Lumin equipment. The room sounded authoritative and controlled, showing itself every inch the professional caliber it was intended to be. Audio by Mark Jones always aim for the upper tier and this year was no exception. 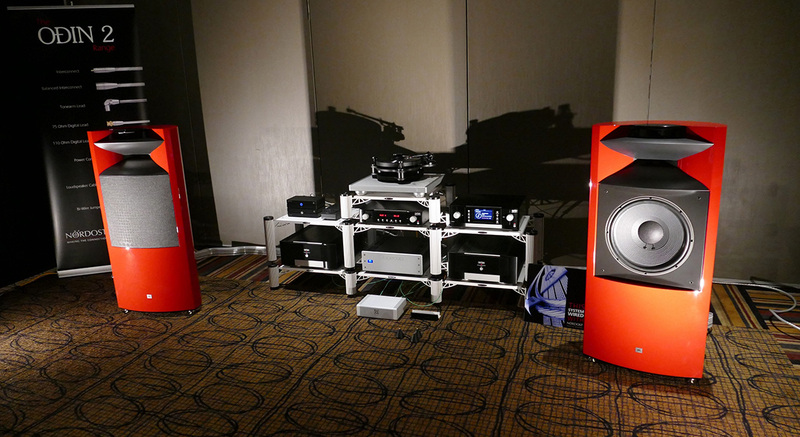 They trotted out a musically enveloping combination of intense red Focal Utopias with CH electronics and a Kronos table with a Lyra Etna Cartridge. The Massif racks looked like their name and were doing a superb job of keeping room vibration at bay. He modestly claimed the room was kind but his setup skills are first rate and he showed why top equipment is worth dreaming about. 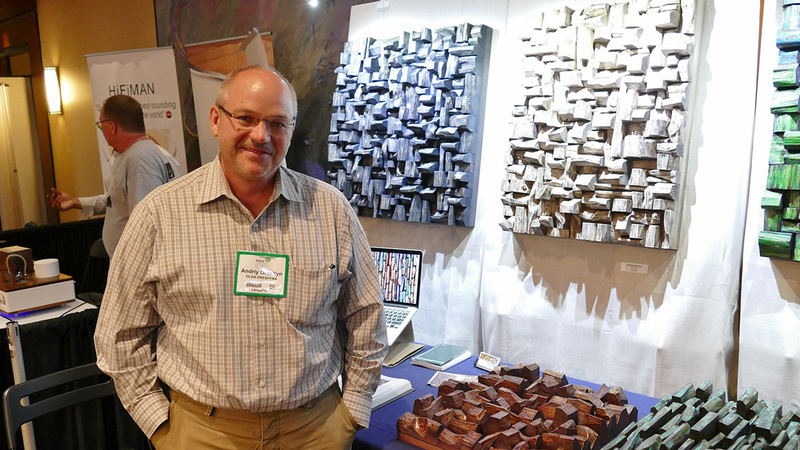 Mike Hamelin from Audio Eden is another gentleman with a history of assembling great product combinations and making them sing like virtuosos. This year he did a nice change up to surprisingly satisfying effect with Mark Levinson 526/536 electronics with Levinson and SME source into the fiery-red JBL K2 S9900 speakers. These were a superb room match which sidestepped the traditional room resonance problems inherent in the suites and pumped out tuneful music of highest pedigree. 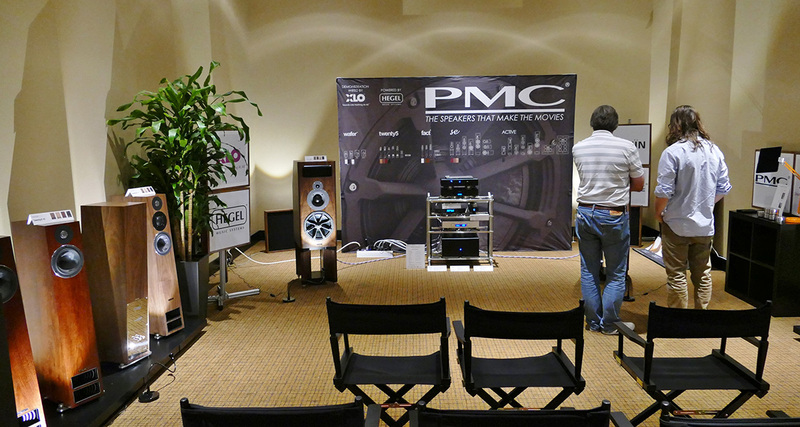 Audio One made some interesting changes during the course of the exhibition, opting to replace their larger B&W floorstanders with a pair of white stand-mount models. In a classic case of the room dictating the perfect match, smaller did indeed prove to be better and the combination with Bryston/Rotel did a bang-up performance for large crowds. 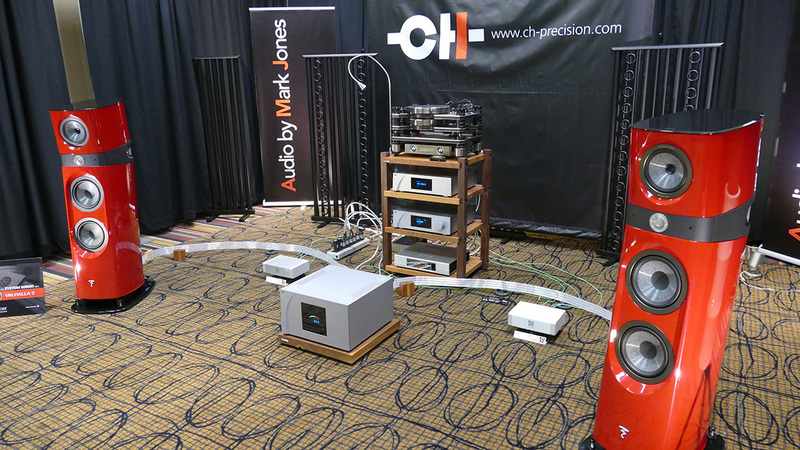 This year Audio Sensibility traded the prospects of a demo room for a display table. Although sadly only on static, their stunning MA30 SG Mundorf looked very much the top drawer monitor. 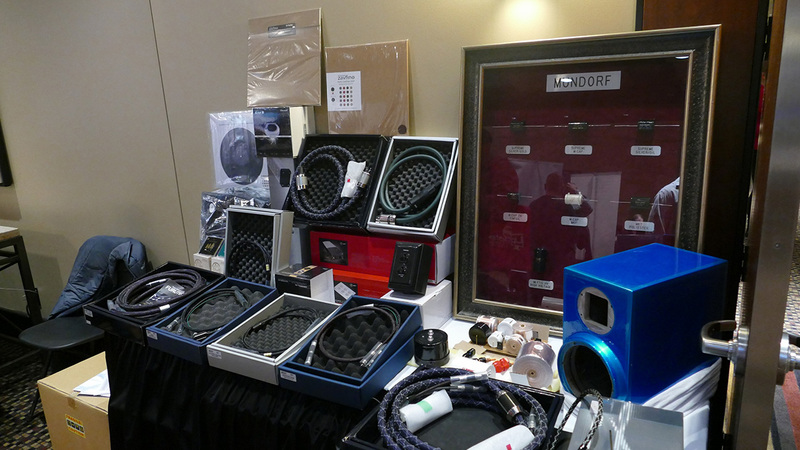 Owner Mr. Steven Huang himself was on display to show his highly regarded line of parts and products as well as talk audio with interested parties. ... some fine Zavfino products. It was the only place I could locate a sample of Zavfino's gorgeous turntable handiwork this year with a single Copperhead on display. 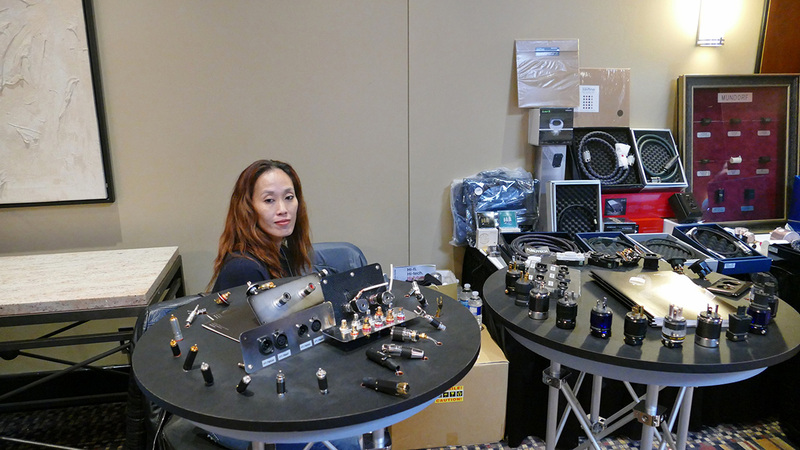 Blue Circle's Gilbert Yeung teamed with Entracte Audio pairing his line of electronics, power management devices and cables with two systems. 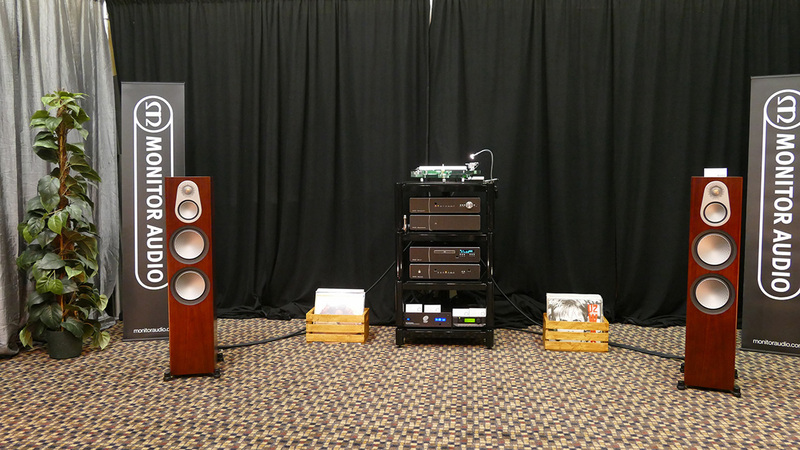 Whether with the big Martens floorstanders or the smaller Spendors, the results were warm and musically inviting. Bryston hose the Waxman 1 suite to showcase their incredibly large line of product. Mr. Tanner, accompanied by his stalwart crew held court to show off their big $8'000/pr Canadian Model T flagships with their legendary electronics. As always, the sheer build quality and sonic prowess showed real pedigree. 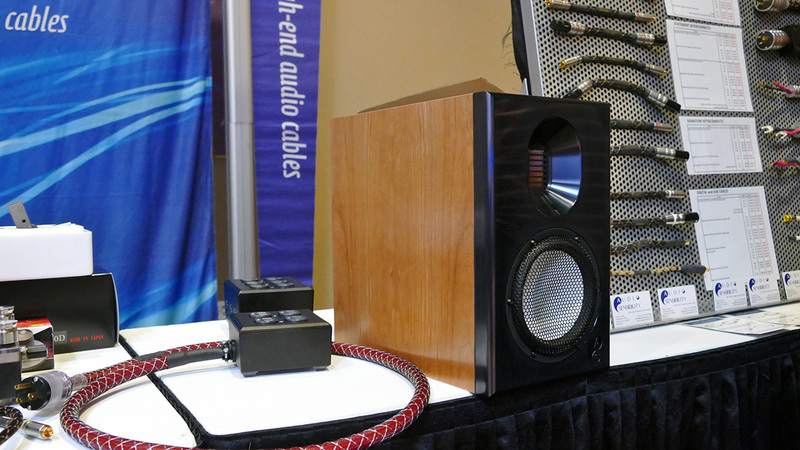 Even the single box all-in-wonder BW-1 amplified/wireless/DAC speaker was there for those with the taste but not the room. Just don't tell those fine folks that heir products are under-priced. The Coherent Audio room has always had me coming back for more. 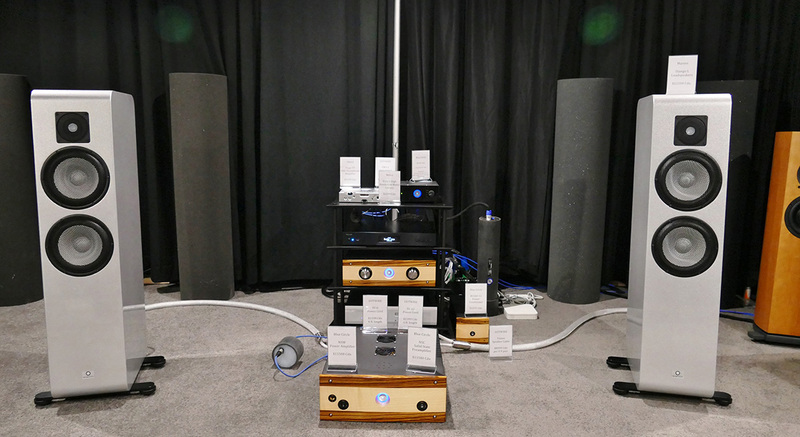 This year Mr. and Mrs. Fazzalari had paired their little 91dB efficient little Model 5 loudspeaker with a Triode Lab 2A3s power amp boasting a muscular output of 3.5wpc. The sound was big, luscious and enveloping with a potent bass that belied its 5-inch coax size and claimed 50Hz spec. At $2'195 it not only sounded like one of the big boys, it sounded like one of the very good big boys. The larger brother also saw some air time, delivering similar goods, going even deeper while retaining dexterity and warmth. 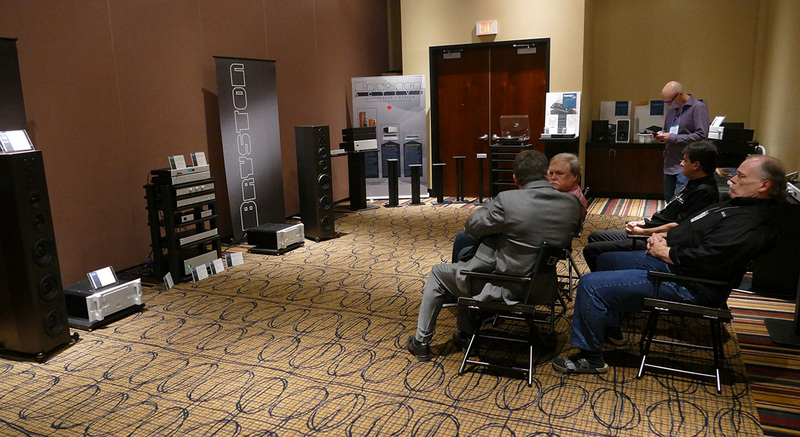 This year was a change of pace for many and Gershman Acoustics were no exception. This year they occupied a suite with Oracle, teaming Moon electronics with their new Posh flagship speaker. There was top notch build quality to match their (I believe) $129'000 tag and the sound was the antithesis of overbearing or oversized. It moved quick and delicate, showing robust power where required, holding it in reserve when not. Like the best large flagships, the Posh danced light and lively. Hegel made the most of their smaller suite, managing to pull off good sound despite the occasional bombastic attempts by the next door exhibitor to test architectural integrity at 14 cycles. 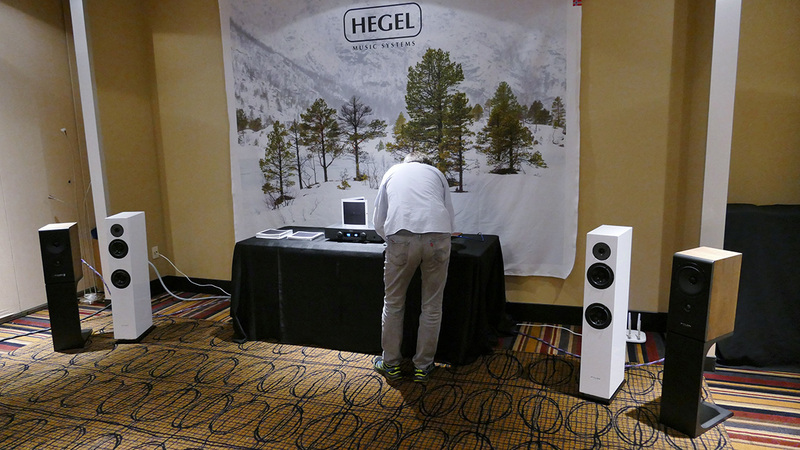 Numerous extreme setups proliferated at the show appealing to the favoured few, but the Hegel room was one of those showing an extraordinary amount of music for a reality-based audience. They demonstrated the advantages of solid engineering and trickle-down technology. 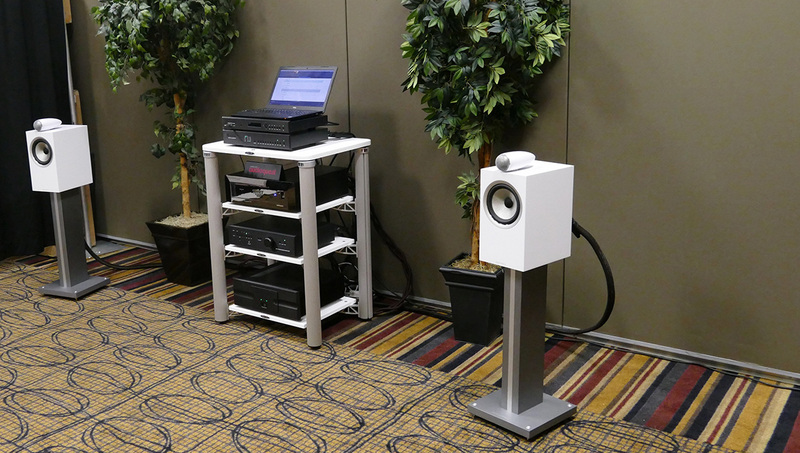 Their little integrated feeding a pair of $1'699 Cabasse floorstanders with their coax upper driver was incredibly expressive, bringing an almost tubular warmth and immersion to the proceedings with standout imaging. For a different flavour their Hegel/Pylon Opal monitor at $3'300 for the system (plus a source) could kick out the jams with finesse. This was one of those high-value rooms where the law of diminishing returns burnt fierce. 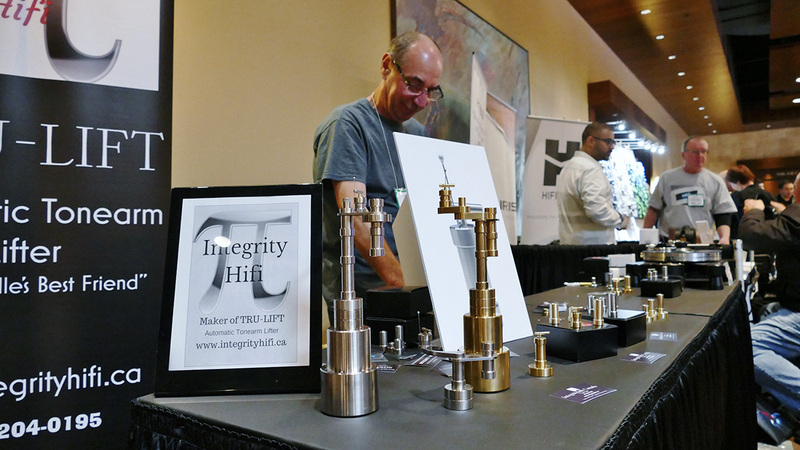 Integrity HiFi were showing a rather clever product on the main drag. They manufacture a small, highly sensitive arm lift for the turntable brigade. Machined from quality stainless and brass, Mr. Lupo showed how it did the trick quite nicely and for $209 it should be a boon for those wary of accidentally trashing one of those hideously expensive cantilevers. Next on the list was the Sutherland 5 suite where Erikson Consumer's Arcam/Revel/Mark Levinson were making some pretty potent sound under the careful hand of designer Kevin Voecks. 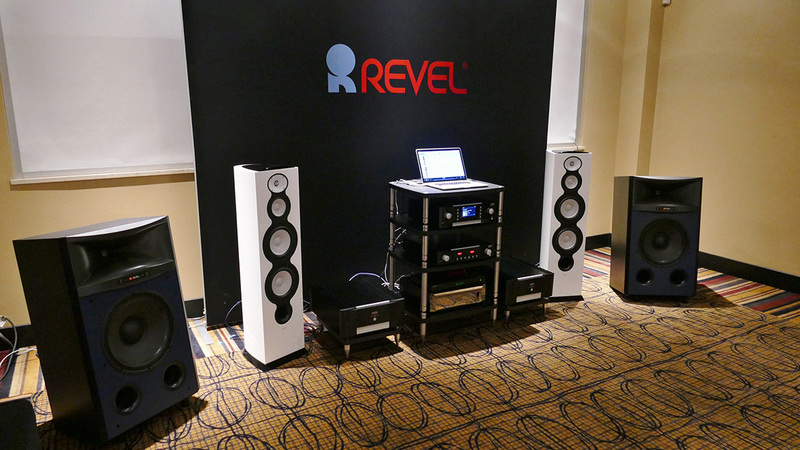 The lovely $10'000/pr Revels were doing impressive duty over most of the show playing taut, controlled and powerful with Levinson electronics but if I'm not mistaken, it was the big pair of JBLs singing the sweet dulcet tones of some German heavy metal folk music late Saturday. It was a touching and tender demonstration. 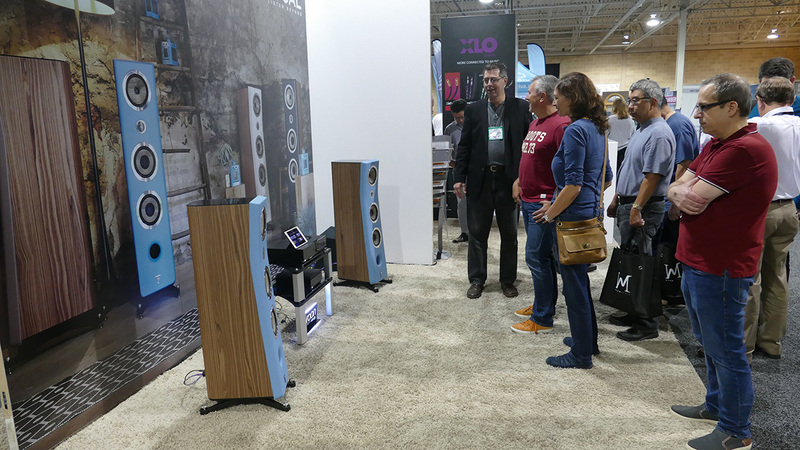 Monitor Audio/Cyrus/Kevro have a strong history of enticing crowds and winning the hearts of reviewers. Kevro rep Sheldon Ginn and his team have historically made excellent sound from a wide range of combinations. This year they put out another stellar effort under these new circumstances with a pair of Monitor Audio Silver 500s. 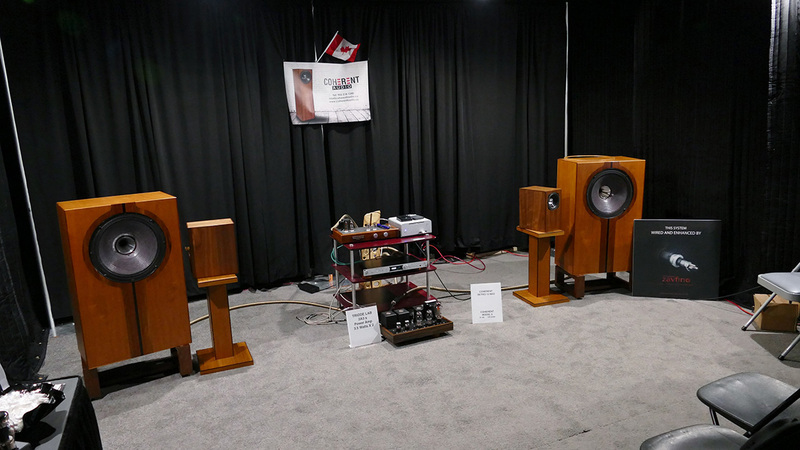 At $3'300 they demonstrated an abundance of trickle down from the costlier Platinum series that would put a blissful smile on the most discriminating audiophile curmudgeon. With electronics kicking in at $2'499 for the K3 Roksan integrated, $1'999 for the power amp, $2'499 for the CDP and the same for the DAC, the pricing was real world and the quality of sound disproportionately high. This was an overachieving room that was perfectly matched and deserved attention. Kudos also to team Kevro for musical selections that were actually enjoyable. 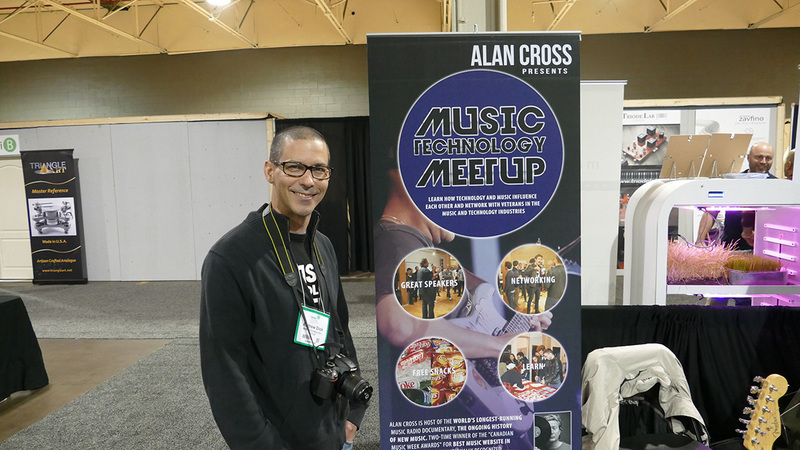 Out of the listening rooms and on the floor again there was an interesting booth looking for fresh, sonically inclined individuals to join a group called Music Technology Meetup. Aimed at bringing together enthusiasts and seasoned pros from a broad spectrum of the audio field, it seemed a nice way to share musical passions. It was good to see Neat Acoustics back and rep Doug Graham was on hand to supply information and enthusiasm. The room did nicely and the team had the creative flair to shake off the industrial drabness of the exterior with real hand-painted flair. Neat have always presented a compelling case for the concept that speakers can be physically small and room friendly but play musically lustily and bodacious. 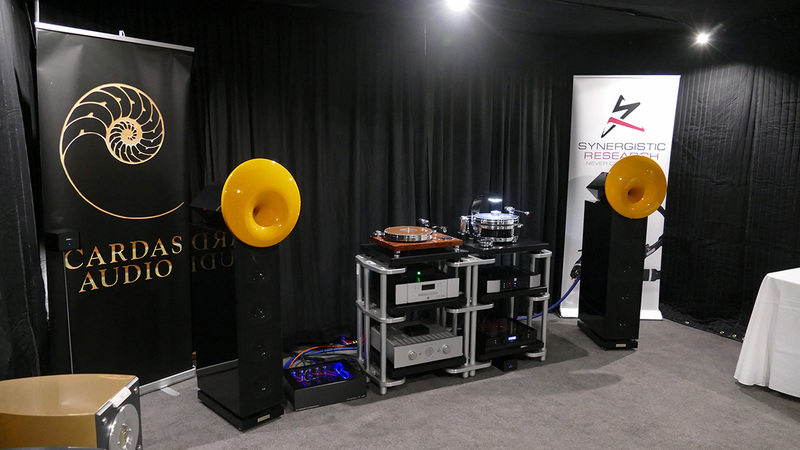 With their combination of AMT and isobaric woofer in the $6'000 Neat Iota Xplorers paired with PS/Kimber support, they hit the mark with tight, tuneful bass, augmented by a breadth and depth of image and dynamic relish that belied their size. Definitely a well-engineered and impressive product to go out of your way to check out. On the main floor again I came across a colorful acoustic diffuser display from a company called Olga Oreshyna manned by Mr. Andrily Oreshyn. No utilitarian drab to be found here. This was functionality masquerading as artwork. 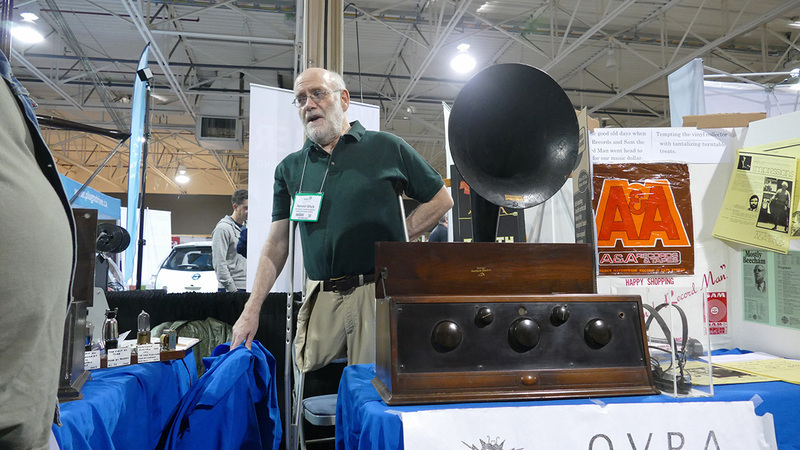 On another portion of the floor, I paid my respects to the beginnings of Audiophilia by visiting the Ontario Vintage Radio Association booth. The presence of Plurison was felt throughout with smatterings of fine product but they occupied major real estate in the main hall surrounded by fabricated rooms. 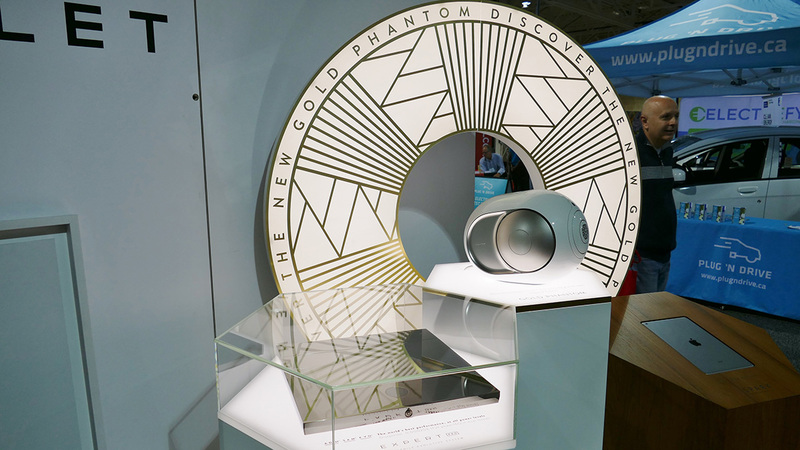 They presented a colorful assortment of displays featuring their broad stable of products including the Devialet Phantoms, lovely Naim equipment as well as Focal. Also on hand were Mr. Morrison and son, demonstrating their extremely effective line of Isoacoustics resonance control products. While the central floor display was a great teaser, it was hardly conducive to critical listening. To remedy that, Plurison shuttled the seriously interested offsite for a more intimate session. It was a clever idea that HighEnd exhibitors have utilized at other shows and was a good fit here.